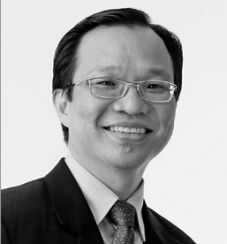 Dr. Tan Tin Wee, an Internet pioneer in Singapore, founded the multilingual Internet domain name system and has been instrumental in its internationalization. In the 1990s under his leadership, Singapore hosted the first Chinese Website and Tamil Website. He has been widely recognized for his award-winning technological efforts in the Tamil-speaking community. He continues to guide the development of Tamil Internet as a technical advisor to the nascent Tamil Internet Steering Committee. Dr. Tan was responsible for several major Internet milestones in Japan, including the first Gopher server, Singapore InfoWeb and the forerunner of the present National Web Homepage; InfoMAP; first WAIS and Gopher server in Japan (RIKEN); the first Internet Cybercast of Singapore's National Day Parade and many other events since 1994. He was formerly Head of Technet Unit at the National University of Singapore (NUS), Singapore's first ISP. During his leadership of the Internet Research and Development Unit (IRDU), Singapore became the first regional Java Web site, VRML Website, 6Bone node, ActiveX Web site and the world's first operational Multilingual Domain Name system (iDNS). He currently serves as an Associate Professor of the Department of Biochemistry of the National University of Singapore. Dr. Tan is responsible for spearheading research on the converging interface between life sciences and Internet technologies.